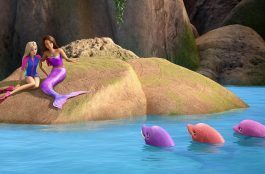 This time I’ll tell you the story that Barbie is about to experience, this is a real story about a young girl like you that has friends just like yours; it has nothing to do with princesses and fairies. 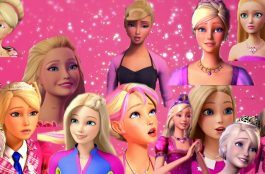 Barbie and her friends Courtney and Tia are in high school and Barbie full of hopes for all the new changes await her during this new school year; for starters she realizes that the guy she likes so much, the most attractive and popular: Todd likes her. Everything seems to be working out well, Todd invites Barbie to the Prom, and she is excited and plans everythin with her friends Courtney and Tia. So she be the most beautiful girl at the prom, she is so excited!!! Unexpectedly Todd asks Rachel his ex-girlfriend one of the most popular and stuck up girls in school, to get back together and to go to the prom with him, Barbie is really sad a salesclerk notices that and gives Barbie a bracelet that also includes a diary. Barbie starts writing about all her dreams and secretes all of a sudden her luck starts changing. At school there are audicions to be part of a rock band that will be playing at the school prom. 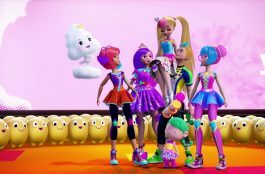 Barbie is excited and thinks this is a great opportunity for her to gain her confidence back, so she signs up to be part of the Charmz Band along with her friends. A little before school prom someone starts to leave love notes in Barbie’s locker and right away she think its Todd, but she is not sure and continues her life as if nothing where going on. She begins to work for the school`s TV channel. Rachel’s friends who are also stuck up and vain give her ideas to talk about on TV. 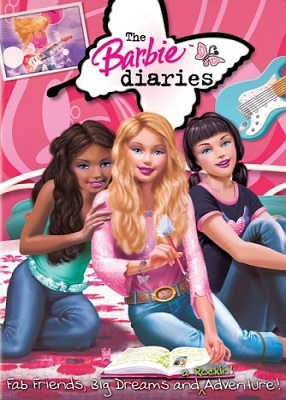 Little by little Barbie begins to become popular and her true friends Tia and Courtney discovers that Kevin is the one that has been leaving the love notes and that Todd has nothing to do with it. 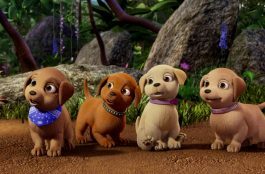 They are excited for Barbie and encourage him to tell Barbie he is in love with her but he still wants to keep it a secret. Charmz Barbie’s band is a blast!!!! Todd asks Barbie to dance with him, she thanks him for his notes he tells her that he hasn’t sent her any notes so she immediately goes to Kevin and apologizes for not noticing it was him that was sending the love notes; they dance all night and become a couple and learn we should always trust and believe in ourselves, believe in our dreams and be happy with those we love.